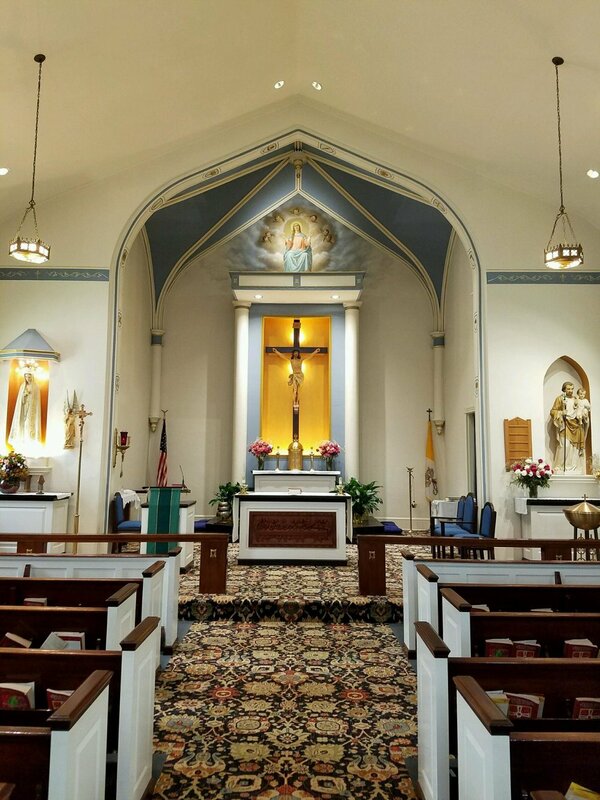 St. Mary's roots go back to 1741 when a small mission chapel was established in "Barnstown" under the guidance of the Jesuit missionaries who served St. John's Parish in Frederick, Maryland. 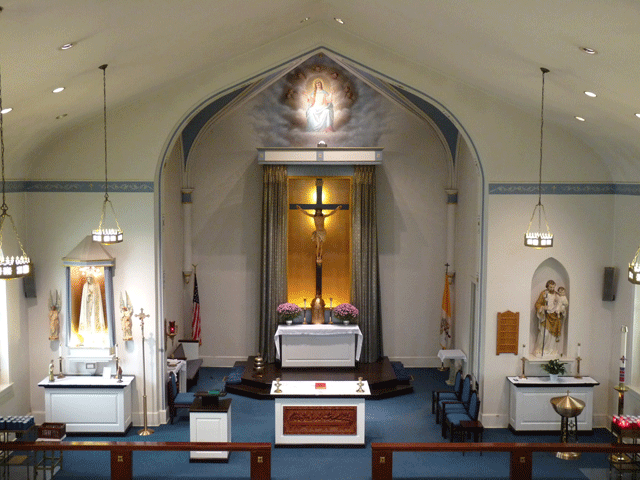 After fleeing France during the French Revolution, Father John Dubois became the pastor of St. John's Parish. In 1807, Father Dubois recognized the growth of the mission and proposed to Bishop John Carroll of Baltimore that a Catholic Church be built in upper Montgomery County. "Barnstown" was renamed "Barnesville" and became the site for the new parish. The church immediately enjoyed community involvement with Zachariah Knott donating 8 acres of land and another local parishioner donating nearby timber for its construction. Fr. Dubois moved on to Emmitsburg where he established Mount St. Mary's and was also spiritual director to St. Elizabeth Ann Seton. Later, as bishop of New York City, he ordained St. John Neumann to the priesthood. Because these two American saints were directly influenced by Fr. Dubois, they are depicted with him over the entrance to the present church. Behind the church, St. Mary's cemetery is the site of mass burials of those C & O Railroad builders who succumbed to the Cholera epidemic. The cemetery also became the final resting place of many Civil War soldiers. The cemetery contains an Outside Altar and Memorial to the Unborn. Barnesville saw action during the Civil War as it changed hands between Confederate and Union soldiers at least three times. The church bells beckoned soldiers to come into God’s presence and pray for peace. The bells also rang out to summon help as flames swept through the church on July 14, 1900. Despite every effort, the church that had served for nearly a century was destroyed. 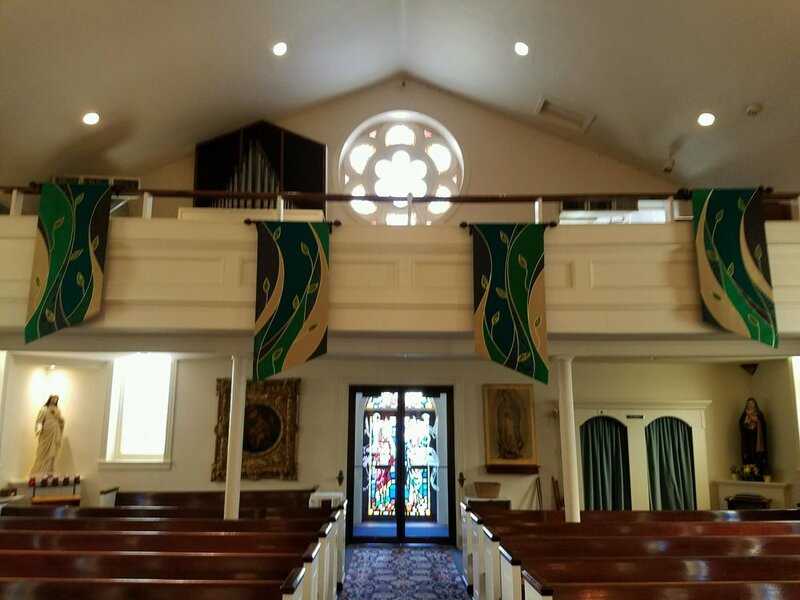 Determined parishioners donated their time, energy, talents, and even their teams of horses, to support the rebuilding of the church by the Hilton Construction Company. 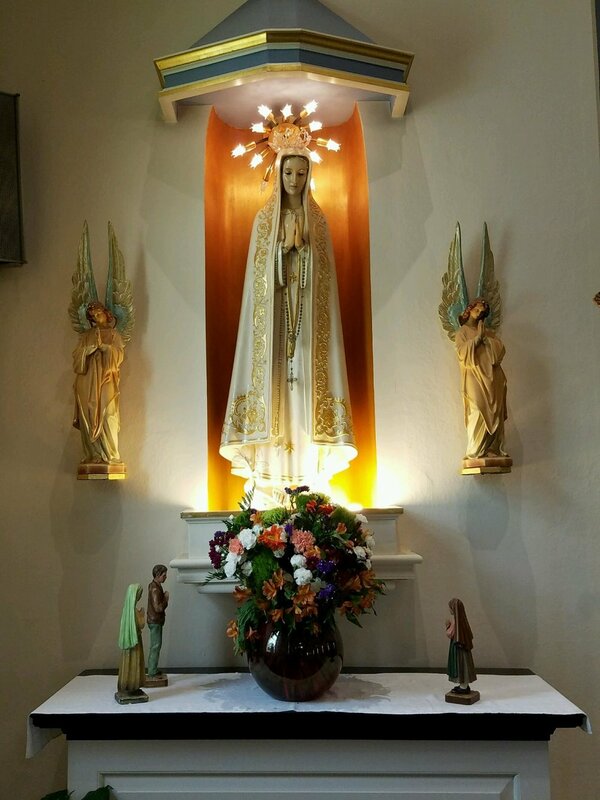 In 1958, Pope Pius XII urged that a parish in every diocese be dedicated to Our Lady of Fatima. 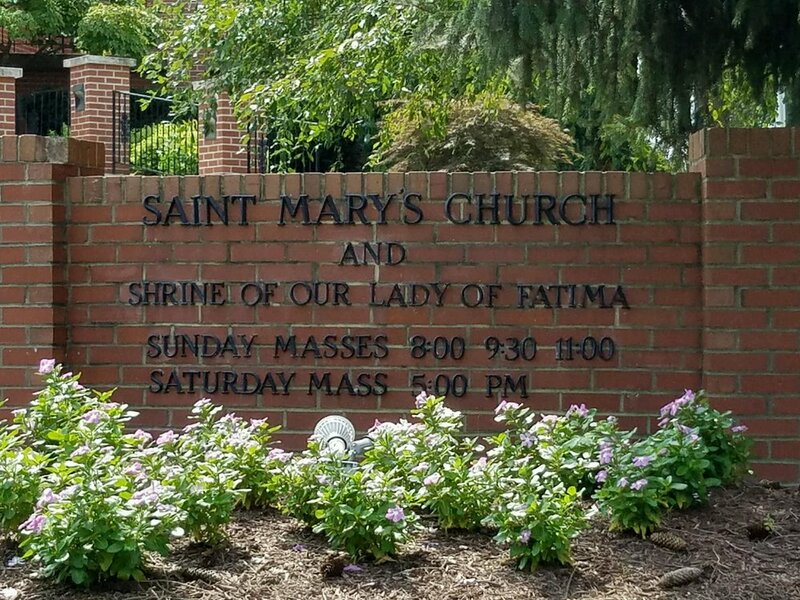 In response to our Holy Father, Archbishop O’Boyle designated St. Mary’s as the official Shrine of Our Lady of Fatima for the Archdiocese of Washington. Under Pastor Fr. Martin Hyland, beautiful indoor and outdoor shrines were erected. The Shrine was dedicated by Archbishop O’Boyle on May 3, 1959. On the altar of the indoor shrine is a piece of stone cut from the area where the Blessed Mother appeared to the children in Fatima. The stone was presented to our Shrine by the then Ambassador of Portugal. The glass-etched entrance doors depict the life of the church. One door displays a chalice and wheat to remind all that the Eucharist is the primary nourishment of our spiritual lives. The dove over the open Bible reminds us that the Holy Spirit will give life to the word of God in us. A beautiful Prayer Garden was added to the grounds several years ago. It is a wonderful place to come and pray and walk through the Stations of the Cross.